I enjoyed the practical elements of the course and being able to see your products come to life. “I enjoyed the practical elements of the course and being able to see your products come to life. Were you involved in any live projects on your course? “In Year One our course was involved in the DFS live project. This involved creative a scale model of a sofa and allowed us to experience the design and making process behind their creation. “In Year Two we were involved in a live project brief with BOSS Design, a contract furniture company. This was a great experience as it also enabled us to enter a competition, the finalists of which presented their ideas and project proposal at Clerkenwell Design Week. “In my final year I really engaged well with my personal tutors to develop my work. Chris Lamerton has been a great help in terms of steering my projects in the right direction and Rebecca Gamble has been very helpful by helping me to understand the reasoning and justification behind my ideas and the relationship with the product. Both have been invaluable. “My personal tutor Steve Rutherford helped to significantly increase my confidence in Year Two, and all of the workshop staff, especially Carl Smith, were absolutely fantastic support with my final year major project. The steel and wood workshop staff deserve very high credit for their commitment to students’ work. I was really pleased with their engagement in my final year. “During my placement year I worked for a bespoke kitchen company called Sola Kitchens based in Fulham, London. My role was a CAD Technician Intern which involved assisting in client kitchen drawings and setup for presentations for the senior designers. I was primarily involved in designing kitchens, however I had been also been involved in other areas of the business including working with the installations team. I assisted the installations manager with orders for appliance, worktop, and hardware which required highly accurate levels of detail. 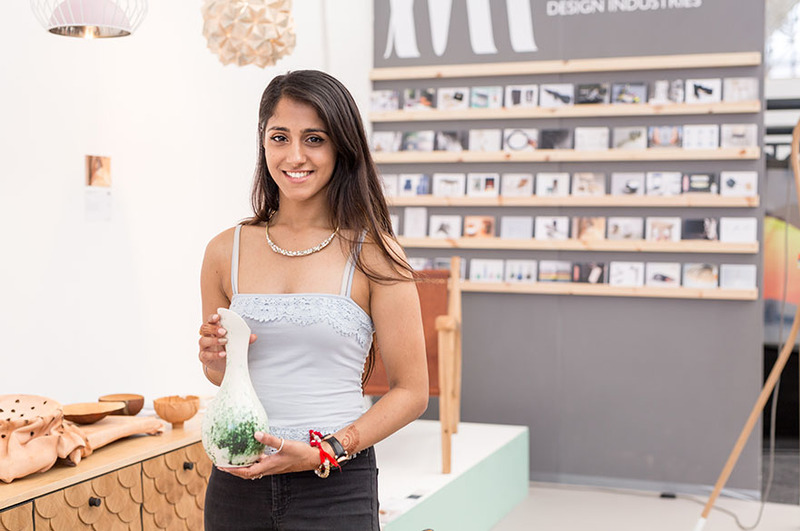 What did your degree show work involve?